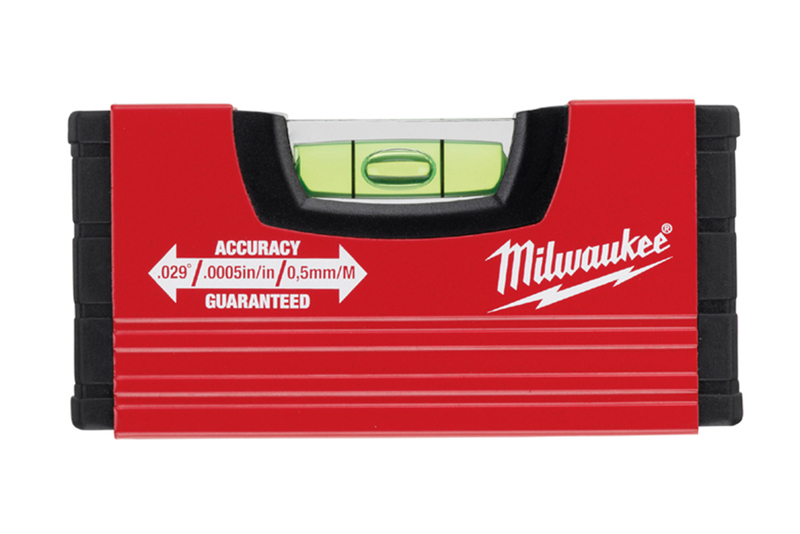 The new Mini Box Level from Milwaukee feature a lightweight, aluminium box profile. Embedded into the profile are solid, shockproof and UV-resistant acrylic vials which ensure the level is accurate to ±0.5mm/m. Fitted with shockproof end caps, the mini level easily fits into your tool belt or pocket.